DuraHook® double locking pegboard hooks are designed to fit all 1/4" and 1/8" standard pegboards and the polypropylene DuraBoard® pegboard. 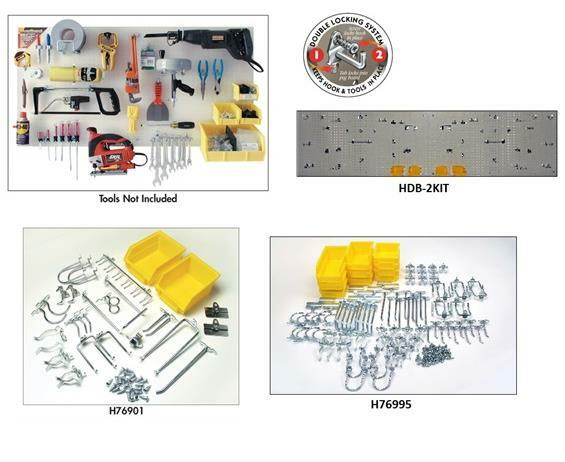 Hooks install from the front and can be repositioned in seconds as requirements change. 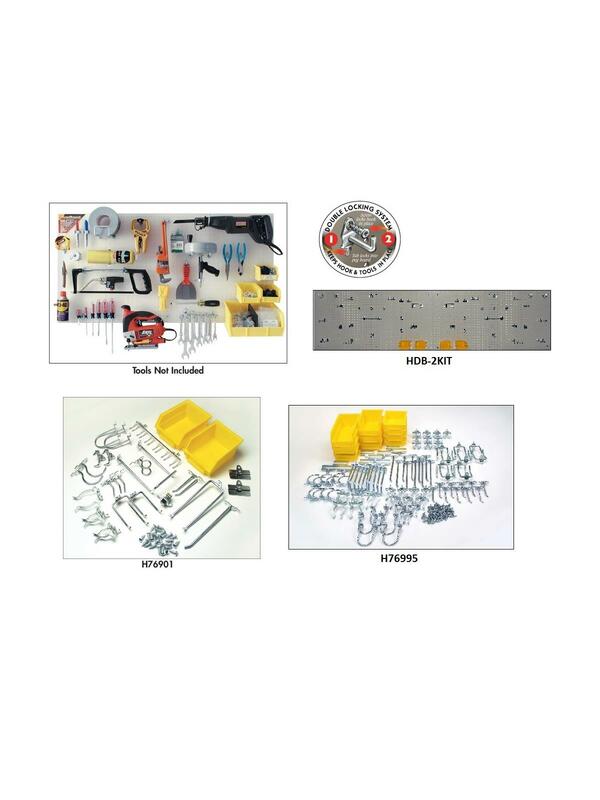 Hooks install vertically and horizontally to accommodate almost any tool. The locking system makes the DuraHook® ideal to support 5S and Lean Manufacturing initiatives. The DuraHook® will "stay put" and never fall off of the pegboard. The DuraBoard® is ideal for creating tool shadowing using the Triton silhouetting/tool shadowing tape. FOB Shipping Point. See Related Items tab for Triton Mobile Tool Carts. 8 hanging bins and mounting hardware. 2 box set.